While Raina and her mermaids value charity work, they regularly volunteer their time and services to several specific causes and charities. 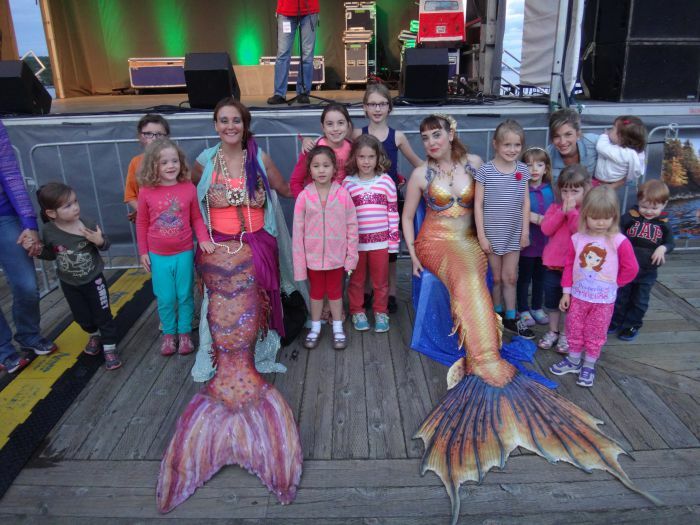 The mermaids budget what they’re able to do, and while we welcome your proposals for charity work, please understand that due to existing charity commitments, the mermaids may be unable to take on your event probono. The quotes below are estimates, and subject to change. This package works best for smaller events. if you expect larger crowds you'll want the next package to be sure guests aren't queued too long. Includes 1 mermaid and 1 assistant for 2 hours.Signage, Blow up Shell for Sitting on, photo backdrop, fins for guests to try on to pose for photos, postcard handouts and local promotion on social media. Additional services and time available via quote. Prices are an estimate and subject to change based on requirements. This package works best for larger events. It is suggested to avoid long queues. Includes 2 mermaids and 1 assistant for 2 hours.Signage, Blow up Shell for Sitting on, photo backdrop, fins for guests to try on to pose for photos, postcard handouts and local promotion on social media. This package is designed for pool, waterpark, and beach appearances. We maintain a ratio of at least 2-3 mermaids to ensure safety and entertainment. Signage and photo ops included. Mers will entertain guests in the water. 2 hours time block. Tank shows are made possible through tank availability and loaning from Dalhousie. Clients must arrange for the transport of the tank, storage, and water filling and emptying in accordance to local bylaws. Tank set up includes a 2 hour time block with 2 rotating mermaids, and 45 minute set up and tear down. One mermaid will be seated on the clam shell while the other is in the tank. A 15 minute skit opens the tank show, and then is available for photo ops. This package also includes everything available from our dry event. Please contact us to discuss.